Versailles bedroom collection. The Versailles collection features doves tailing with sturdy wood on wood center drawer glides. The five drawerchest features a lip top conceal felt top jewelry area and is finished in deep mahogany stain. 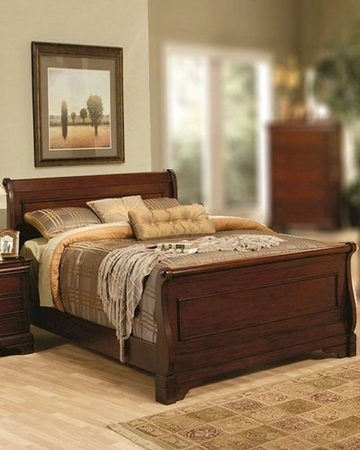 The Versailles collection is a great option if you are looking for Traditional furniture in the area. Queen Bed - 87.75"L x 64"W x 51.25"H.
King Bed - 87.75"L x 80"W x 51.25"H.
California King Bed - 91.75"L x 76"W x 51.25"H.